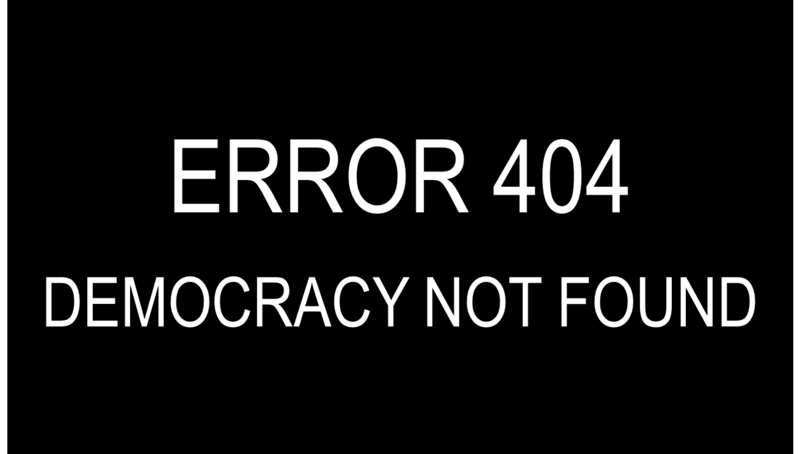 We live in a representative democracy, right? Our MPs are elected as representatives of a geographical constituency on a simple majority, correct? There is nothing proportional about First-Past-The-Post. Agreed? So it is therefore a false defence to suggest that this change- reducing the number of MPs in the Commons to 600 and re-drawing boundaries based purely on populations- is about making results somehow more proportional or representative. The point of representative democracy is that minority voices may be heard and all interests represented, rather than a tyranny-of-the-majority approach in other systems. It is, thus, not the priority of our system that boundaries are determined by numbers alone but by geographical changes that mean differing characteristics and interests in each constituency. Constituencies such as the Isle Of Wight, albeit large, make sense as one singular constituency as there is a definitive geographical barrier that mean the interests of constituents are likely to be similar- the very interests that MPs are meant to, but seldom, stand up for in Parliament. Furthermore, dropping the number of MPs to 600 is surely, mathematically, a reduction in public representation in the Commons. If they wanted actual proportional representation for the public, constituency boundaries would be the fine print in any reform. A report last March from a cross-party committee suggested that, if boundary changes were to be made, they need not aim to strictly limit differences in constituency populations to 5% but that a 10% variation either way was satisfactory. The Tories rejected this in favour of myopically pushing their own agenda. Strange, since this is the same party that only allowed the Liberal Democrats the Alternative Vote as the alternative to FPTP in the 2011 referendum and still campaigned against it. “Equality and fairness must be paramount” said the cabinet office- if we’re going to have less MPs and less representation we may as well do it fairly, eh folks? The committee also suggested that immediately cutting 50 MPs was unnecessarily quick but again, clearly determined to diminish representation, the government has chosen to ignore this. A sign of what's to come? 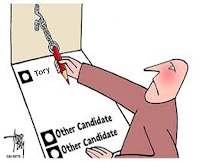 Despite rejecting electoral reform in 2011 and pushing for “fair” changes by 2016, it isn’t a strange move by the Tories at all: it would be an electoral helping-hand for themselves, whilst adding nothing to the value of our democracy. I just wish they could admit that their unabashed agenda is what it is- better for them, better for their donors, better for those obviously overpopulated, poor middle class constituencies in some country shire deprived of their fair representation! It’s estimated that the Conservatives could earn up to 20 more seats directly as a result of these changes despite the number of MPs actually being reduced- imagine being able to win whole general elections on, or even below, a 20% popular mandate. Thatcher must be raving in her grave at the thought of her legacy being secured and the prospect of Conservative rule forevermore. Forget cutting constituencies, they may as well start cutting away at the full electoral franchise and – with workers rights and the welfare state also diminishing with every white paper- feudal will be welcomed home to these isles like a hero. This attack on workers’ rights, through Trade Union Bill, again highlights the ideological, provocative nature of the Tory onslaught on everything that, in the decades after the war against the evils of the far right, the British people built up, deciding that we wanted to look after each other and not the elite anymore. There is nothing practical or democratic about introducing provocative attacks on the ability of Trade Unions to protect us when strike action in the UK is unusually low for a “developed democracy”. In the same vain as changing constituency boundaries but rejecting all other electoral systems, the Conservatives are increasing strike ballot thresholds and limiting workers’ rights instead of offering online balloting which would substantially increase turnouts in strike ballots- again unsurprisingly doing nothing to aid democracy when there would be no direct Tory benefit. The right-wing elite, trying to break solidarity everywhere by demonising every section of society in turn (those on benefits; Muslims; Socialists; supposedly 'benefit-tourist' immigrants; it was the Irish too once upon a time) are the true Class Warriors and they’re not going to stop soon. Their fear-mongering politics has now moved onto attacks on democracy itself and, on a 24% mandate, I see no right for them to dictate the terms of future elections and move the goalposts to suit themselves. Just when you thought it couldn’t get any more blatant, there’s also the ongoing threat to cut Short Money- the state’s funding for opposition parties. So following an attack on Labour’s funding through trade unions (side note: I don’t remember fat-cat business owners having to ask their workers permission in order to donate to the Conservative Party) they’d finish of political opposition by directly limiting the funds of all opponents in Westminster. In response to member s of their own party showing dissent against such an American-style, anti-democratic policy, Downing Street confirmed they were “committed” to reducing Short Money. Committed? The next step, I presume, would be to declare Britain a one-party state and be done with costly ventures such as General Elections. At least the Nazis got to 43% of the popular vote before banning all political opposition. Don’t bleat about stronger democracy or fairer, more equal voting, these changes are purely political and aim to consolidate Tory power for the future. When continuing with their politics of fear and manipulation, I wish they would at least in part admit to their motives rather than hiding behind numerous facades- in this case being that their boundary changes are ‘more democratic’ and about “equality”. Whilst in power Labour generally avoided manipulating the system for their own future gain and actually cut ties with their biggest powerbase – the unions- albeit for ideological reasons; the Tories seem to be going for the jugular in, as Nick Clegg put it, trying to “rig every rule” in their favour. Surely anyone can see that their agenda has nothing to do with being “all in this together” and everything to do with diminishing the power of British democracy.